The online casino world has radically changed over the past 10 years, especially for US based players. Gone are the days where you can simply sign up and use any old method to play at pretty much any casino you choose. Casinos are much more selective about not only who they let onto their site, but also what deposit options you can choose from. This guide will hopefully give you an indication of ways in which you can fund your casino account. It is worth noting at this point that some casinos will provide more deposit options than others, so it is worth checking each one before signing up. 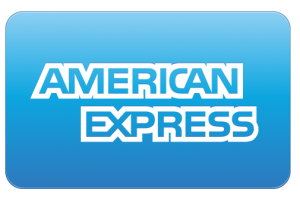 The American Express card was a worldwide symbol of power and prestige, in terms of baking at least. The card has seen a decline over the years but it’s re-brand into AMEX has seen it come back bigger and stronger. This is now a plausible and popular method of banking with many US based casinos. Bank wiring money is one of the safest forms of depositing funds into your casino account. This is mainly because you are getting the details of your casinos bank, rather than them yours. There are downsides to the bank wire as transactions can often take a few days to process and withdrawals taking up to several weeks. The high rollers often use this method to deposit and withdraw large sums from their accounts, but if you don’t fall into that bracket then you should use an alternate and faster options will be more suitable. Visa is the biggest financing company in the world, and it’s no surprise to see it as one of the main deposit options for US based players. There are many different Visa payment methods to take advantage of including pre-paid debit cards which can be used at cash terminals around the world. The Visa cards are also the easiest way to fund your e-wallets, so even if you are not directly using your Visa credit or debit card to fund your casino account, it may still be a way to bridge the gap in getting money online. MasterCard is another brand synonymous with online payments. Unfortunately over the last few years they have made it almost impossible to use their credit cards to deposit into online gambling accounts for US based players. But there are ways around this, one of them being the pre-paid cards from MasterCard. You can simply deposit money from your bank account onto these pre-paid cards before then depositing onto your casino of choice. It may be worth noting at this point that many sites, whilst accepting deposits, will not accept withdrawals to MasterCard’s of any kind. Pre-paid cards are quickly becoming the deposit option of choice for many US based casino players. With the majority of credit card requests being declined by the banks, the pre-paid option allows players to top up their card and simply put their money on to their casino with the minimum of fuss. These top ups can occur online or even via a host of high street shops where money can be transferred across both. If you can’t use one of the credit card options above, then check to see if the casinos can use a money transfer option such as Western Union or Money Gram. These money transfer services let players use their credit cards and many casinos now accept funds through these methods.